battery is being charged by the AC wall charger. • CAUTION: Do not attempt to open the product. There are no user serviceable internal parts. the potential to damage cables. Do not use any cable with exposed wiring. • CAUTION: Charge your connected devices in an area away from the direct sun if possible. attempt to use it in a microwave oven. equipment, life support devices, or any other critical equipment. • CAUTION: Do not clean your Bushnell POWERSYNC product with anything other than a damp rag. The use of cleaning chemicals or other products may harm the unit and will void your warranty. 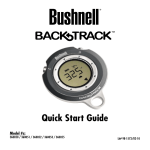 • Do not dispose of any Bushnell POWERSYNC product as you would normal household trash. products containing a Lithium Ion battery. can be used to recharge your portable electronic devices anywhere, anytime. demand whenever you’re away from your home or campsite. internal battery from wall charger or PC. device if this connector is not compatible. computer. Make sure the computer is powered from an AC outlet. ready to connect and charge your device. device to determine when it’s ready to use. charge level % as shown in Fig.3. , then shut off after 10 seconds. internal battery charge will be depleted more rapidly. design. 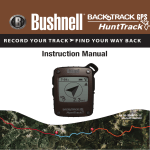 Bushnell provides examples of charges per device, based on typical product use and are not intended to be specific to any single device. The PP2016/PP2008 is protected from static shock. hold down power button for 2 seconds or until light activates. Specifications and designs are subject to change without any notice or obligation on the part of the manufacturer. 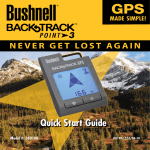 Your Bushnell® POWERSYNC product is warranted to be free of defects in materials and workmanship for one year after the date of purchase. 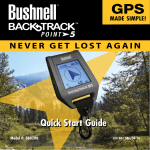 someone other than a Bushnell Authorized Service Department. this device under Part 15 regulations.